Following the announcement of nominations, the 2019 Academy Awards will now face criticism over which film or actor endured the most public snub. But this year’s showcase of Hollywood’s best is just as notable for a series of firsts. “Black Panther” enters Oscar history as the first superhero movie to be recognized in the best picture race. It’s a first too for Marvel, the studio behind the film. Long criticized for shutting out similar blockbusters in the top categories, the addition of “Panther,” the biggest film of 2018 at the U.S. box office, is sure to make the ceremony more relevant to a wider audience. It’s a smart inclusion by the Academy, which has been actively working to diversify its membership and be more inclusive in recent years. Alongside Marvel, Netflix also joins the big league. With “Roma” nominated to the best picture race, the streaming giant has scored a huge Hollywood first. Sure, Netflix isn’t new to the Oscar merry-go-round. 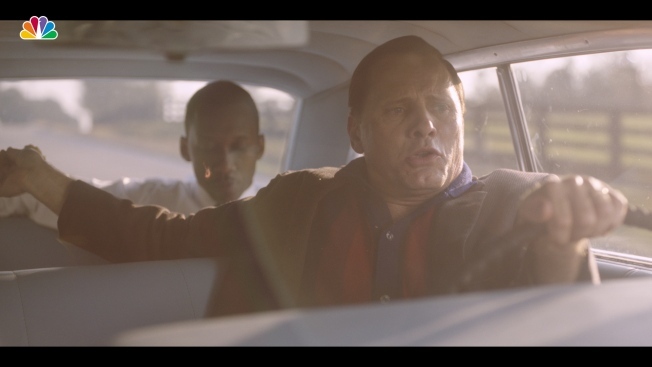 Studio nominee “Mudbound” garnered nods in the acting, cinematography and music categories last year, and documentaries from the online service have been in Oscar contention every year since 2014. But “Roma” marks the company’s first contender for the top honor of best picture. Fellow online giant Amazon beat Netflix to the rarified best picture race last year with “Manchester By the Sea,” though it didn’t take home the honor when the envelope was opened and “The Shape of Water” was named winner. Netflix can justifiably find validation in its best picture race inclusion this year because even if “Roma” doesn’t win, the nomination is sure to help attract even more of Hollywood’s biggest talents to the studio built on streaming. “Roma” director Alfonso Cuaron also made history Tuesday by tying for the most-decorated Oscar nominee ever for one film. Alongside his best picture nod, Mexican-born Cuaron is nominated for directing, cinematography and original screenplay. Cuaron now joins Warren Beatty for “Reds” and “Heaven Can Wait,” and Orson Welles for “Citizen Kane” as four-time, same-picture nominees. Cuaron took home the best directing Oscar for “Gravity” in 2014. Adding to the smiles at Netflix is the nomination of Gabriela Rodriguez. As “Roma” co-producer with Cuaron, Rodriguez is the first Latin woman to be nominated in the best picture race. An eventual win for the visually stunning “Roma” would also be a best picture first. Though eight foreign language films have been named to the category over the years, none took home the statue at the end of the night. “Roma” is also named to the best foreign language film category and though a win here would see Cuaron’s name etched on the statue, the official winner is the country of origin, hence the director’s tie with Welles and Beatty above. Perhaps the most surprising first to come out of the nomination list is the inclusion of Spike Lee in the best director race. While the “BlacKkKlansman” director was nominated in 1980 for “Do the Right Thing” (screenplay), in 1998 for “4 Little Girls” (documentary), and received an honorary award in 2015, Lee’s directing work has never previously been singled out. And let’s not forget: one of the biggest firsts remains a mystery. With only one month to go before the big night, the telecast is still without a host. The 91st Academy Awards will air live on ABC on Feb. 24.